Abstract: So far, Airwheel has owned ten series of electric smart gadgets with high-quality, portability, convenience and utility. R8 electric assist bike shows the fruitful achievement of Airwheel in 2017. Five advantages make it outstanding: remarkable traffic ability, triangular frame, brushless motor, disc brake and versatile battery. Traffic congestion and air pollution are universal problems, especially in the metropolis and citizens are keen on the exquisite and portable personal transports. Preparing such a mini tool that is kept in car trunk, or taking bus or subway, it is a piece of cake. Airwheel has rolled out ten different seven series of electric smart gizmos with high-quality, portability, convenience and utility. R8 electric cross bike is a pursuit of minimalist life that shows the fruitful achievement of Airwheel in 2017. R8 made by ingenuity is what you need. 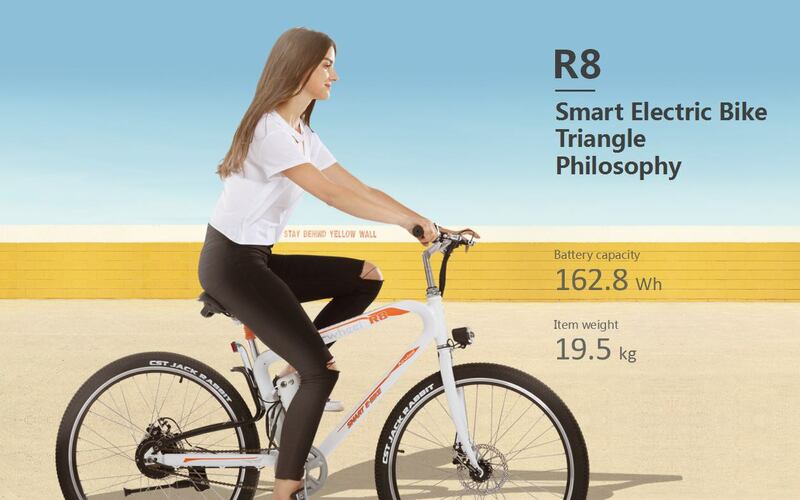 R8 electric mountain bike is an excellent means of transportation when people going out for recreation, known as an off road transport, as it installs the largest wheels so far-as large as 26 inch. The branded wheels with special tread are nonslip and have excellent grip performance, allowing R8 to conquer various road conditions. Moreover, it abandons the clumsy design and selects light aluminium alloy to design the triangular body, which is formed by a bending long pipe, leading to high performance of crush resistance. Anytime, anywhere, you can carry it up the stair, as the item weight of R8 is only 19.5kg. Another feature is the brushless motor power system, which takes the magnetic encoder as the sensor, with precise controllability and invariableness turning speed. This helps save power, greatly reducing friction during running to give riders a smooth and low noise ride. The disc brake is firstly introduced to Airwheel R8 hybrid bike. In case of emergent braking, riders can increase the brake force to shorten braking distance, which is effective to guarantee the safety of the riders. R8 is equipped with branded lithium battery featured longer service life. With the BMS, it has 8-circuit protection, which enhances the efficiency of charge and discharge. 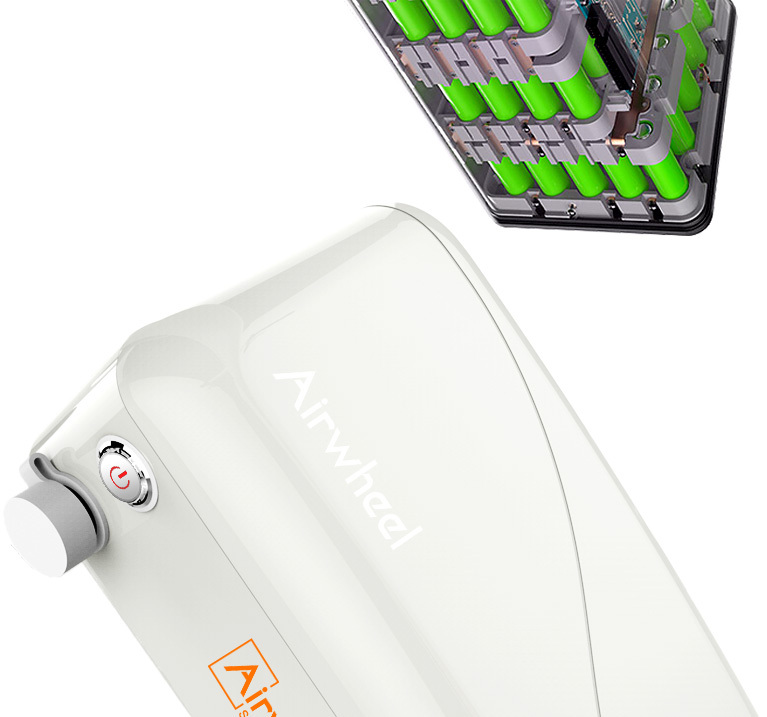 Come to know the multifunctional portable power bank from Airwheel. 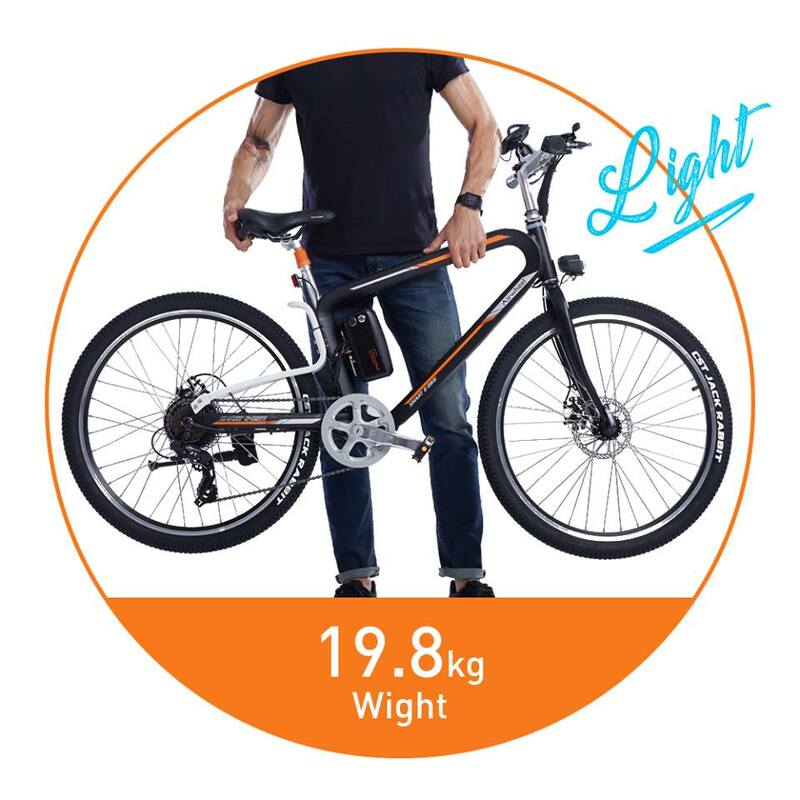 It is not only the battery to provide power to your smart e bike, but also to provide electricity to your daily electronics.